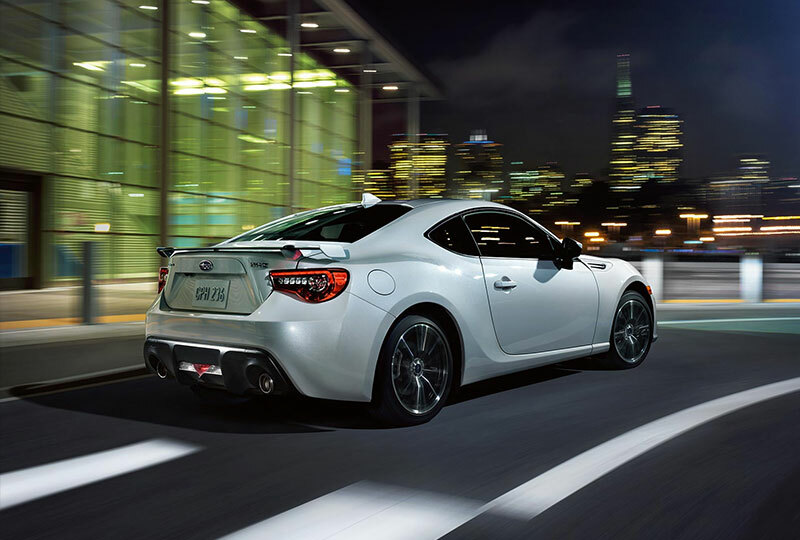 The 2018 Subaru BRZ in Jacksonville, FL - serving Orange Park, St. Johns, Greencove Springs, St. Augustine, Macclenny, Middleburg, and Palatka - is a stunning sports car with thoughtful design and incredible power for the driver who craves excitement. The elongated front end creates a dramatic profile with the ideal sports car look. A sport-tuned suspension provides optimal handling coupled with daring power from the 2.0L Subaru Boxer engine with 205 horsepower. LED lighting illuminates your drive while highly bolstered seats cradle you in premium comfort. Incredible materials keep the cabin soft to the touch but appealing to the eye. Enhance your experience with the available Starlink Multimedia system and Starlink Apps that provide amazing entertainment options like Apple CarPlay and Android Auto, as well as apps like iHeartRadio and Yelp. Now is the best time to buy a new Subaru! We have an amazing selection of 2018 BRZs at incredible savings, and new auto loan rates have never been lower. Take a test drive today to experience all that Subaru has to offer. Stop by the dealership located at 7023 Blanding Blvd., Jacksonville, FL 332244. 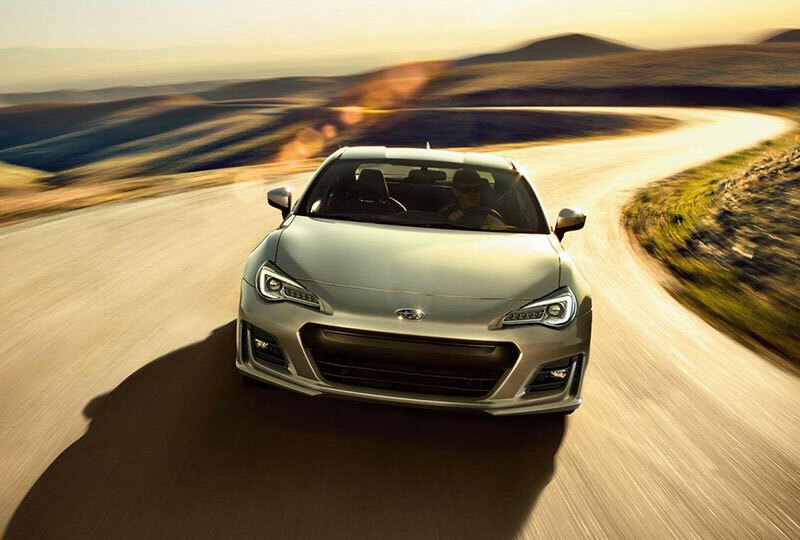 We can't wait to see you in the 2018 Subaru BRZ of your dreams! An extremely low and rearward engine placement means you get a sports car with optimal balance, an extremely low center of gravity, lightning reflexes, and exceptional rear-wheel-drive handling dynamics. The vehicle stability control system features a track mode for even more handling control when you need it. 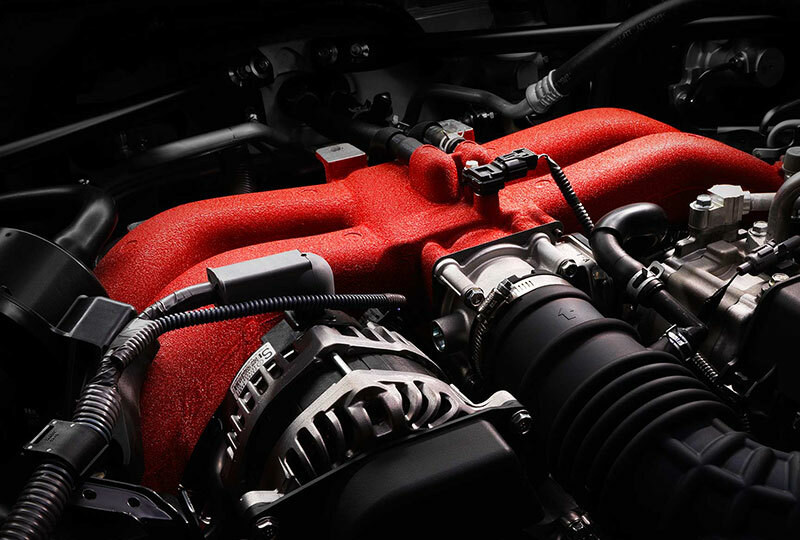 A naturally-aspirated 2.0-liter horizontally-opposed SUBARU BOXER engine is tuned to provide up to 205 hp, combining balance with power and efficiency. Direct- and port-injection technology provides more than 100 hp per liter, while the Dual Active Valve Control System optimizes valve timing for maximum response all the way to the 7,400 rpm redline. 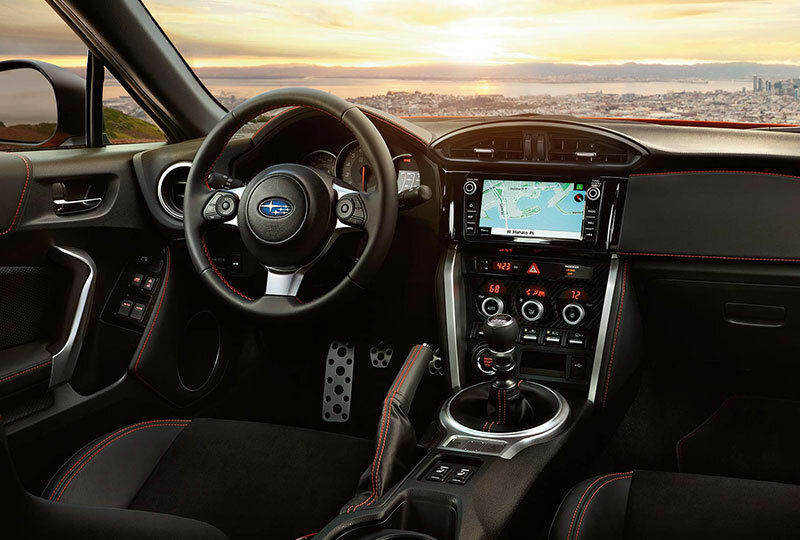 A STARLINK Multimedia system with standard Apple CarPlayTM, AndroidTM Auto, and Pandora® app integrationTM, plus SiriusXM® All Access RadioTM is newly available on the 2018 BRZ. Wireless pairing and hands-free smartphone operation allow for safe and easy connection to your favorite apps and content. Access news, navigation, music, podcasts, audiobooks, and more through available STARLINK apps, such as iHeartRadio® and Yelp. Plus, dual USB ports and a built-in, voice-activated navigation system powered by TomTom® are now available. 2. Compatible smartphone and application required. For applications to operate, latest version of each application required. Data provided by smartphone is displayed on head unit screen. Some state laws prohibit the operation of handheld electronic devices while operating a vehicle. Smartphone apps should only be launched when vehicle is safely parked. Your wireless carrier's rates may apply. 3. Available as an accessory when ordered individually. XM® Satellite Radio hardware standard as part of Harman Kardon premium audio system. Activation and required monthly subscription sold separately. Includes 4-month trial subscription.